We're compiling a list of Tennis Professionals who use ProTracker Tennis. If you want to be listed here please send in your web site address, location and other details you want displayed. Odyssey Tennis Academy Experience the French culture of tennis and take your game to the next level! Brian D. Ruffner, USPTA P-1 / PTR - Pro, USTA High Performance Coach - Founder/Director of LiveWire Tennis Academy - Lake Oswego, OR. Alberto Brignacca Tennis Club Match Ball, Italy - including Andrey Golubev. Roeland Brateanu, Assistant Men's Tennis Coach at the University of Utah , Salt Lake City, USA. ProTracker Tennis has been working for a number of years with Universal Tennis Rating (UTR). This online system provides tennis players world wide with a common language to determine their level of play. ProTracker Tennis is pleased to endorse CoachSeek. This online service is ideal for running the business aspects of Tennis Coaching. It manages the entire coaching programme, leaving the coach to concentrate on the Tennis itself. Facilities include: Online Bookings, Complete Coaching Calendar, Customer Communication. Skymount is an ideal partner to ProTracker for those wanting to merge video and match analysis - it enables you to capture aerial footage of the whole court and the whole game, just as if you were watching it on TV! The video export facility in ProTracker is designed to save you watching a match in full twice, ProTracker timings and outcomes are used to produce a Dartfish-compatible tag file that you need to analyse the video. The idea is you might want to view for example: just the double faults, or just the serves when break point down, or all the points when 40-0 up etc.etc. Or by using the Comments feature in ProTracker you could view any specifics, for example all the points following a disputed line call. Learn tennis quicker using the QM-1 Portable Camera Mount. 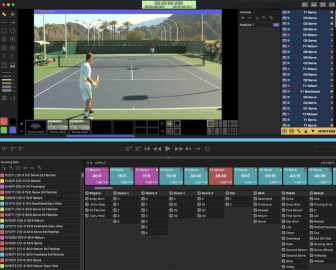 It is now EASY, FAST AND SIMPLE to film your tennis match and take advantage of one of the most powerful instructional tools for tennis – video analysis. Being able to go home and watch the match on the big-screen TV and do a detailed analysis with ProTracker. Much more relaxing and accurate without the pressure of being "live". Maximize learning potential, win more matches, have more fun! Perfect for junior tennis players, parents and coaches. Tennis Sport is a website with lots of information about tennis, matches, players, tennis resorts and destinations, camps and academies. 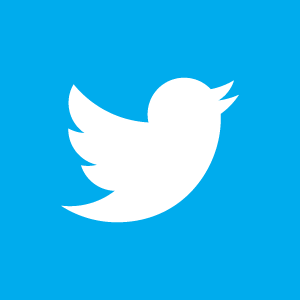 We provide people with news, fixtures, and results for all events of tennis played worldwide. 5 Star Tennis Holidays specialise in arranging tennis holidays and tennis breaks for families, singles, couples, schools, tennis clubs to the Vale do Lobo resort on the Algarve in Portugal.